How is Vyvanse Abuse Diagnosed? 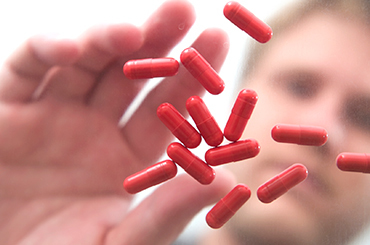 Vyvanse's stimulating effects make it a popular recreational drug. Some users rely on it to boost performance at work and in school, though research suggests the drug does not actually improve outcomes for recreational users. Particularly among college students, Vyvanse continues to be a popular option, but stimulant drugs are highly addictive--and potentially lethal. For people who struggle with the ongoing challenges of ADHD, excessive sleepiness, and atypical depression, Vyvanse can be life-changing. It helps sharpen focus and concentration by stimulating more activity in the brain and central nervous system. This sensation is a pleasant one that can help you feel more confident, competent, and intelligent--even when your performance is actually declining. Abnormally high levels of energy. Inflated sense of self-esteem and self-confidence. Aggressive, hostile, angry, or anxious outbursts. Extreme highs followed by sudden lows. Sudden health or financial difficulties. It can take a while to figure out whether you, or someone close to you, is addicted to Vyvanse. But early interventions can make the difference between life and death, so do not hesitate to ask for help. You can reach our treatment support staff toll-free at 1-888-993-3112Who Answers? to find more information about Vyvanse treatment and recovery programs near you. It doesn't matter whether you have a valid medical prescription or not. Any Vyvanse user can become addicted, since addiction is the product of chemical dependency, not a personal failing. Worsening mental health; some users experience a brief improvement in mental health when they first begin taking the drug, but Vyvanse changes brain chemistry, potentially leading to depression and anxiety. Cardiovascular problems, including rapid heart rate and stroke. Changes in appetite or metabolism. Brain damage and loss of intelligence. Financial, legal, or medical problems. Vyvanse acts directly on your nervous system, making it incredibly dangerous to combine this drug with others. When paired with other stimulants, such as methamphetamine or Adderall, Vyvanse can cause life-threatening cardiovascular symptoms, including strokes and heart attacks. If you experience intense withdrawal symptoms, depression, or anxiety when you attempt to stop using the drug, you may be abusing it. You don't have to go to a doctor to be diagnosed with a Vyvanse addiction. Instead, the hallmark of Vyvanse addiction is chemical dependency. Talk to your doctor about your reliance on Vyvanse, especially if you use it to treat ADHD, since less addictive options may be available. Taking Vyvanse for ADHD or another mental health condition--prolonged use of Vyvanse increases your odds of an addiction. Having a mental illness--mental illness increases the likelihood that you will be prescribed Vyvanse and the challenges of life with a mental health problem make it more likely that you'll try Vyvanse to self-medicate. A history of trauma, abuse or intense psychological pain. A previous history of drug abuse. If you want to avoid an addiction to this dangerous drug, don't use it without a medical prescription, and if your doctor prescribes the drug, ask for the lowest dose possible. One of the challenges of life as an addict is that addiction comes with a unique defense mechanism: denial. Denial convinces you you're not like other addicts, or not an addict at all. But denial will not save you. Indeed, it only allows your addiction time to worsen. Requests from family and friends to seek treatment. Legal, financial, career or medical issues due to your Vyvanse addiction. Difficulty feeling "normal" without Vyvanse. Taking more than the dose recommended by your doctor. Experiencing withdrawal symptoms in between uses. Get Support Narcotics Anonymous uses a 12-step recovery program to help people overcome addictions to drugs such as Vyvanse. 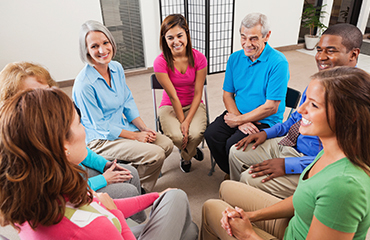 Find a local support group for you or your loved one. Vyvanse addicts often display a pattern of aggression, anxiety and withdrawal, alternating between the three. This can leave loved ones confused, concerned, and deeply overwhelmed. If someone you love is abusing Vyvanse, know that their behavior is not their fault. Addiction is a disease that causes addicts to behave in ways they'd otherwise never dream of. If you're worried about a loved one, an intervention may help you encourage him or her to seek help. You can't force an addict into treatment or recovery, though, so be prepared to set your own boundaries to protect yourself. A family support group such as Nar-Anon may help you do precisely that. There's no single "right" way to treat Vyvanse addiction. Instead, what matters is finding a treatment that works for your needs and your lifestyle. Be sure to ask plenty of questions before choosing a treatment facility, and know that even if your first option fails, there are still plenty of additional opportunities for quality treatment. Outpatient treatment means you can continue living at home, attending treatment sessions during the day. Outpatient programs vary in intensity, so be sure to ask about time constraints before signing up for a program. Medical detox is the first step toward sobriety. Many people are unable to quit using Vyvanse without experiencing intensely unpleasant withdrawal symptoms. Medical detox offers you the chance to get clean and sober under the watchful eye of a skilled treatment team. Though most programs are outpatient only, a few offer short-term inpatient stays. If you like the idea of rehab but don't have the time to live at a facility, these programs can be a good midway point. You'll get access to most of the services available in rehab, but will return home at the end of each day. Every addict has a story. Therapy lets you tell yours in a safe and supportive environment where you can get practical, actionable tips on how to get and stay sober. These programs are free, with meetings at most times of the day. Completely peer-run, Narcotics Anonymous (NA) offers the chance to draw upon the wisdom of other recovering addicts, seek the support of a sponsor, and steadily work toward sobriety. You'll live in a comfortable drug and alcohol-free environment, making it much easier to resist temptation. If you prefer something a bit more luxe than the traditional inpatient model, you may want to consider a luxury rehab facility. These facilities offer a spa-like setting, often offering educational opportunities and the chance to relax in a picturesque environment. In many cases, you'll have access to your own private suite as well. Executive facilities are built around the same model, but instead of catering to people who want a vacation, they work with addicts who need to continue working. Specializing in high-profile executives and busy professionals, these facilities offer business supplies, meeting space, and plenty of privacy. In most cases, you'll have your own room, and may even have access to an office. You'll often be able to leave to perform work functions. A successful treatment plan can deal with both the medical and non-medical consequences of using Vyvanse, all the while tending to your addiction recovery. Call us at 1-888-993-3112Who Answers? to find a Vyvanse treatment and recovery programs in your area. Teen abuse of prescription stimulants such as Vyvanse is on the rise, with some teens even selling their Vyvanse prescriptions to recreational users. If you use Vyvanse, you'll need to carefully guard your prescription, and if your teen has a prescription, you may want to periodically count her pills. It's also wise to talk to all teens about the perils of prescription drug addiction, since many teens mistakenly believe that prescription drugs are less dangerous than illegal street drugs. If you catch your teen abusing Vyvanse, you need to act quickly. Vyvanse abuse is not a disciplinary problem or something that warrants punishment--it's a disease that necessitates treatment. Teens' developing brains can suffer irreversible harm due to addiction, so prompt care is key to helping your teen get back on track. Offer loving support, access to resources, and the opportunity to choose treatment. If your teen refuses, you may have to force him or her into a treatment facility. Though this strategy is not ideal, it could ultimately save your teen's life.